To date, a total of 2,247 enterprises and over 15,000 international buyers have confirmed attendance at the China Marine Economy Expo 2018, which will take place in Zhanjiang from Nov 22 to 25. 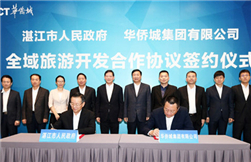 A Zhanjiang delegation of 31 enterprises made an impact in the first phase of the ongoing Canton Fair in Guangzhou, clinching deals and letters of intent worth more than $70 million. Overseas Chinese Town (OCT) Group will invest no less than 50 billion yuan ($7.2 billion) over the next five years to help Zhanjiang develop all-for-one tourism. 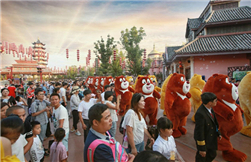 With an investment of 3 billion yuan ($435.5 million), Fantawild Holdings Inc will build an "Oriental Heritage" theme park in Suixi county, Zhanjiang. Five Zhanjiang businessmen made it onto the 2018 Hurun China Rich List released by the Hurun Research Institute on Oct 10. 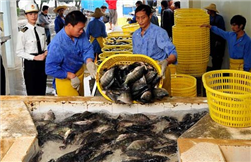 Statistics from Zhanjiang Customs showed that Zhanjiang's trade value with African countries totaled 1.3 billion yuan ($189.1 million) from January to July. The first senior negotiation between the Guangdong government and German chemical giant BASF was held on Aug 1.